The history of how the cultivation and consumption of coffee spread throughout the world is one of the most attractive and romantic there may be. That story begins in the Horn of Africa, in Ethiopia, where coffee probably originated in the province of Kaffa. There are several stories, imaginative but unlikely, about how attributes of coffee roasted beans were discovered. One of them counts as a goat herder and the boy the animate behavior that the goats had after having red coffee grains. What is known with more certainty is that the slaves to what was taken from what is now Sudan to Yemen and Arabia through the great port of that already, Moca, now synonymous with coffee, with the succulent fleshy part of the coffee cherry What is undoubtedly is that coffee was grown in Yemen as early as the fifteenth century and is likely a lot too. Moca was also the main port of the only maritime route to Mecca, the busiest place in the world at that time. Lthe Arabs, however, had a rigorous policy of not exporting fertile coffee beans, so that they could not be cultivated anywhere else. The coffee bean is the seed of the coffee, but when the outer layers are removed it becomes infertile. Many attempts were made to get some coffee or fertile grains, but that race was finally won by the Dutch in 1616, who managed to take some to Holland and there they grew them in greenhouses. At the outset, the Yemeni authorities greatly encouraged the consumption of coffee, since its effects were considered preferable to the strongest of the “Kat”, a shrub whose leaves and shoots were chewed as a stimulant. The first establishments to serve coffee opened in Mecca and were called “kaveh kanes”. This type of establishment spread rapidly throughout the Arab world and the cafes became very crowded places where chess was played, gossip exchanged and enjoyed singing, dancing and music. The establishments were decorated with luxury and each of them had its own character. There had never been anything like the establishment of coffee: a place where society and business could be lived in a comfortable environment where everyone could go for the price of coffee. Arab coffee establishments soon became centers of political activity and were suppressed. Then, in the following decades, coffee and coffee establishments were banned several times, but continued to reappear. Over time a solution was found: coffee and coffee establishments had to pay taxes. The Dutch also began to grow coffee in Malabar, India, and in 1699 brought some to Batavia, in Java, in what is now Indonesia. A few years later, the Dutch colonies had become the main source of coffee supply to Europe. Today Indonesia is the fourth largest coffee exporter in the world. The Venetian merchants first brought the coffee to Europe in 1615. That was the time when the other two great hot drinks also appeared in Europe: the first, hot chocolate, brought by the Spaniards from the Americas to Spain in 1528; the other the tea, which was sold for the first time in Europe in 1610. At first coffee was sold mostly lemonade vendors and was believed to have medicinal qualities. The first coffee establishment in Europe was opened in Venice in 1683, and it was the famous Caffè Florian of St. Mark’s Square, which opened in 1720 and is still open to the public. The world’s largest insurance market, Lloyd’s of London, began to function as a coffee establishment. The business began in 1688 Edward Lloyd, who prepared there lists of the ships that his clients had insured. The first reference to coffee in North America dates back to 1668, and soon thereafter coffee establishments were opened in New York, Philadelphia, Boston, and a few other cities. The 1773 Boston Tea Party was planned at a coffee establishment, the Green Dragon. Both the New York Stock Exchange and the Bank of New York began in coffee establishments, in what is now the Wall Street financial district. It was in 1720 that coffee began to be cultivated for the first time in the Americas, thanks to what is perhaps the most fascinating and romantic story in the history of coffee. Gabriel Mathieu de Clieu was an officer of the French Navy who was on duty in Martinique and who, in 1720, traveled to Paris with permission. With some help and no personal charm he bought a coffee shop that was taken with him on the return trip. The coffee was installed in a glass box and left on deck to keep it warm and not damaged by salt water. The trip was full of incidents, or so it was as Mathieu de Clieu told in his diary: Tunisian pirates chased the ship, there was a strong storm and the coffee had to be tied. Our hero was forced to face an enemy on board who was envious and tried to steal (?) The bush, there was a violent fight in which one of its branches broke, but the coffee survived all of it. After these incidents the ship remained motionless due to lack of wind and the drinking water was rationed. For De Clieu it was clear what was most important of all and yielded most of the water that corresponded to the coffee. The coffee tree survived and so did he. Finally, the ship arrived in Martinique and the coffee was replanted in Preebear, where it was surrounded by a hedge of thorns and taken care of by slaves. The coffee tree grew, multiplied, and in 1726 the first harvest was made. It is recorded that in 1777 there were between 18 and 19 million trees in Martinique. The model had been established for a new commercial crop that could take place in the New World. It was the Dutch, however, who first began propagating coffee in Central and South America, where today it reigns unrivaled as the main commercial crop of the continent. Coffee first came to the Dutch colony of Suriname in 1718, and coffee plantations were planted in French Guyana and the first of many in Brazil in Pará. In 1730 the British took coffee to Jamaica, where today the world’s most famous and expensive coffee is grown in the Blue Mountains. In 1825, Central and South America were en route to their coffee destination. That date is also important because it was when coffee was first planted in Hawaii, which produces the only American coffee and one of the best. For Americans, the world’s biggest consumers, Seattle is the new spiritual home for coffee. In the 1970s, the rainiest city in the United States led to a coffee or “Latte” culture in the United States, which dramatically improved the overall coffee quality of the United States. Americans. Today, in any public place in the United States there will be one or several coffee stands that will offer a variety of coffees, drinks and refreshments. This newly discovered “coffee culture” has begun to spread to the rest of the world. 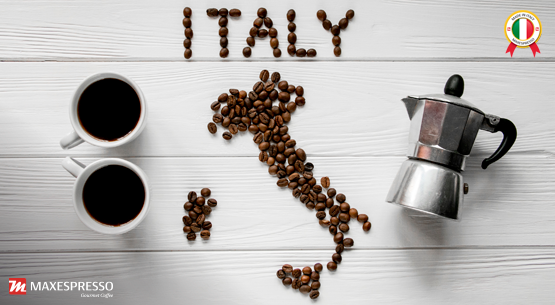 In countries that already had a great tradition of coffee, such as Italy, Germany and the Scandinavian countries, added new converts to the pleasures of good coffee. Today it is possible to find good coffee in any major city in the world, from London to Sydney and to Tokyo; tomorrow we will have more coffee around the world and, more importantly, better coffee.